Working as a creative director in the fashion industry for over 20 years, Elaina developed her business skills and knowledge that were to form the foundation for her future success in real estate. However, it is Elaina's personal work ethic that makes her shine. Originally from Russia, Elaina has lived in Rome and traveled extensively throughout Europe, Asia and Turkey and has been residing in NYC for the past 25 years. She is fluent in a variety of languages including English, Russian, French, Spanish and Italian and works exceptionally well with international clients. Relationships with all clients, and delivering a superior level of service, is key to her approach. Elaina’s spot-on instincts, attention to detail and the art of being able to match her clients with their perfect home has landed her major success in the real estate industry. She will go to great lengths to find the ideal fit for her clients in both uptown and downtown Manhattan. 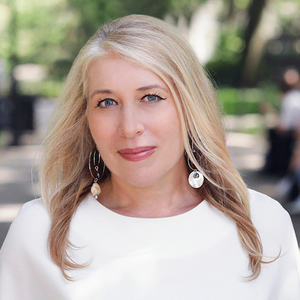 Her invaluable wealth of knowledge and expertise in all areas of Manhattan property market, including co-ops, condominiums, townhouses and new developments of the city is unparalleled. She knows what the NYC housing boards are looking for in their packages and gets her clients through the process seamlessly. Having raised a son in Manhattan, Elaina is also particularly sensitive to the lifestyle requirements of today’s busy families. Her single-minded focus paired with superior client skills has earned her a reputation for professionalism, perseverance and determination. Elaina will make your experience of purchasing or selling a home pleasurable, not stressful, and guide you through every step of the process smoothly and effectively.